today i'm getting stuff done for Mr. Pawlish's car, it needed an oil change and to get the emissions tested... hopefully the oil will be done in time to get the emissions done! too bad they couldn't be done at the same place. i'm super excited because i've finally found a barn and a horse :) i'm going to start leasing a mare named Echo next week, and i have a dressage lesson on her tomorrow! it took a long time, but i finally found a place that gives me that yummy, happy feeling... just what i was looking for. 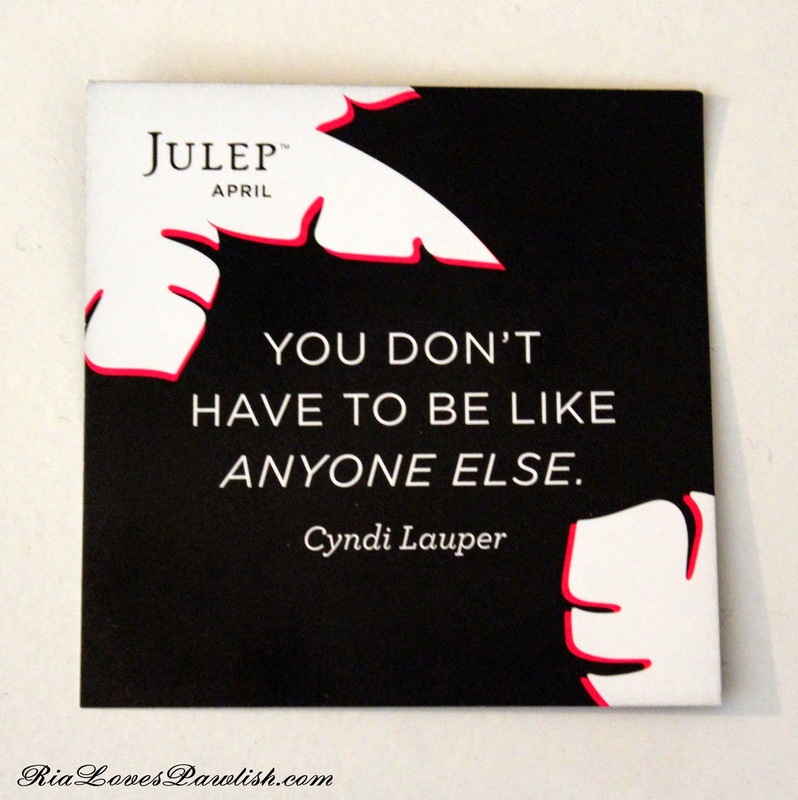 now that it's almost June, i'm going to share the April 2014 Julep Maven It Girl box with you all! i forgot about cancelling it while i was travelling, the May one should have come through the forwarding system but it appears to have gotten lost. bummer. since i had paid for two more boxes, i had enough points to get the June box for free... hopefully, i will remember to actually cancel my membership this month! 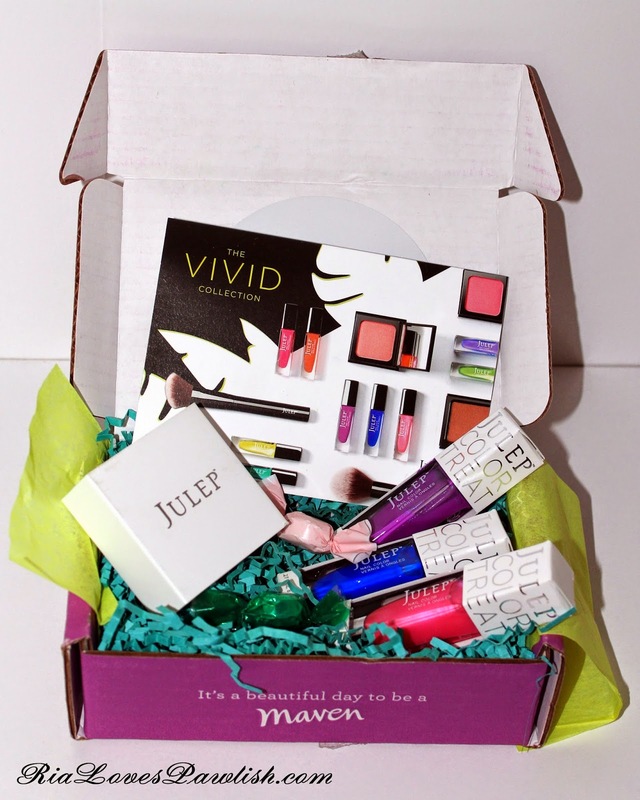 i loved the colors in April's box, so it wasn't to annoying that i had forgotten to cancel :D the little extra treatie that month was a couple candies. here's a close up of the colors! i'm super disappointed because the lid is cracked on Flora, the purple one. i feel like i have an extra lid somewhere, hoping to find it! i forgot to put the quote card in the box overview picture, so here it is. i really love this quote, it's a great description of how i try and live my life!